Flea Market Flipping Challenge: $5 Turned into $227! 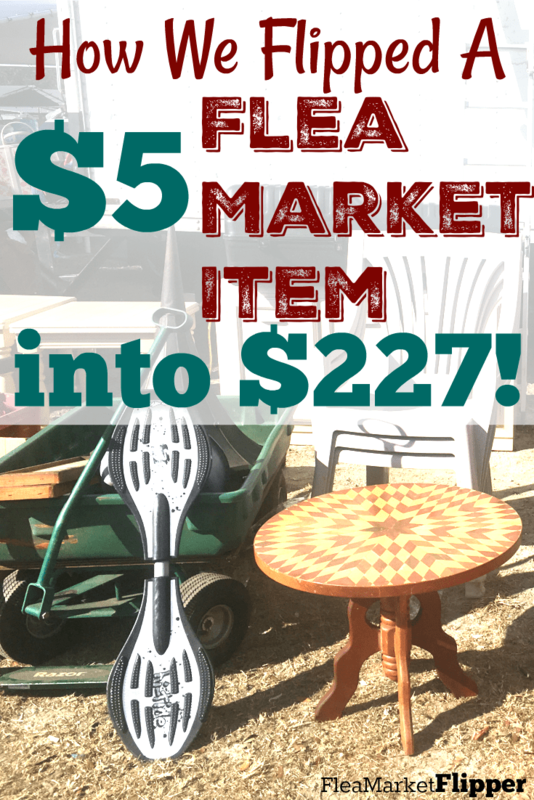 19 Jan Flea Market Flipping Challenge Update: $5 Turned Into $227! The first find in our flea market flipping challenge sold this week! Find a used item for $25 or under, flip it on eBay (or other online source), and then take the flip money, reinvest it and flip it again. Keep doing it (and don't touch the money) until the end of this year! For example: If you find an item for $15, then list it and sell it online for $75, you then take that $75 and re-invest it into something to resell. This process continues until the end of the year. How awesome would it be to end up with an extra $5,000-$10,000 by the end of the year?! Last week I mentioned that we picked up two TowMate lights for $5.00 ($2.50 each). I posted those lights in a 10 day auction on eBay and they sold for a total of $227.50! One sold for $95.00 and the other sold for $132.50! Aaaaaand… what's even more exciting is I already found my next flip. I get excited for the returns on my items, but I get even more excited about finding and buying items to resell! One of my flea market vendor buddies had this inflatable boat for sale, and I thought it would be the perfect item to buy and flip for this challenge. 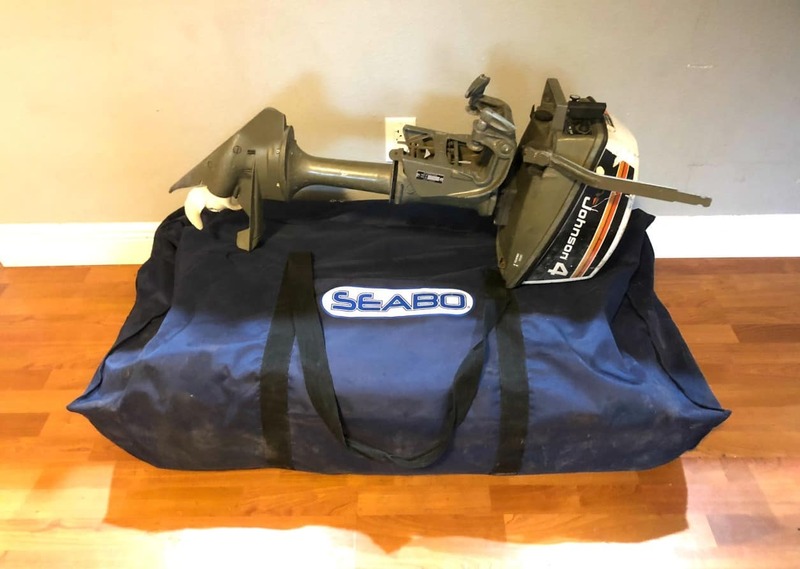 I just scored the boat and motor for $225. He actually found it in the trash – so I am not the only one making money on these deals. He just turned $0 into $225! 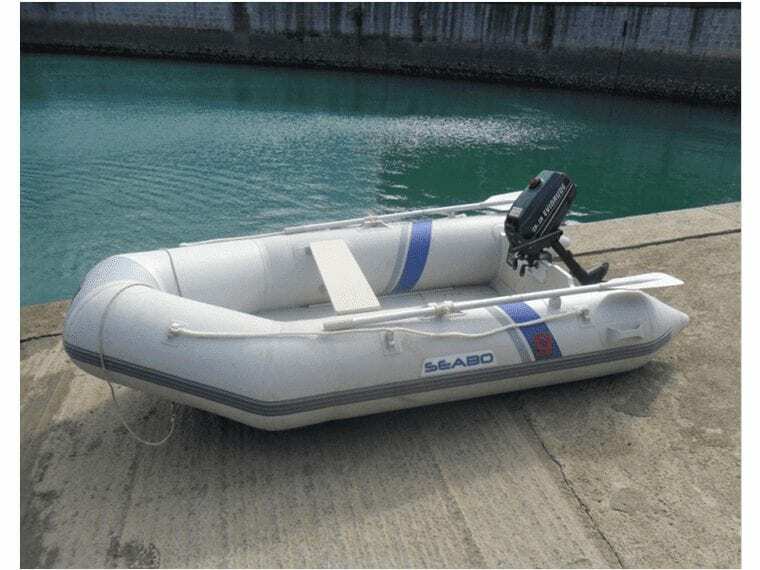 The inflatable boat and motor retail for around $2,400-$2,500 together, so I am hoping to get around $1,000 for the duo. I listed them in a 10-day auction, but started the price at $750. So we will see how it goes! I am hoping to flip them quick so I can move on to the next one. Ha. Are you in for this year long flipping challenge? If so, drop us your e-mail here to let us know you are starting. If you are new to flipping items for profit, we have a free 5-day e-mail course to help you get started. This is not a full how-to, step-by-step course like Flipper University is, but it's a great place to jump in and learn a few things. This will also add you to our flea market flips and eBay tips emails that we send 1-2x per week. 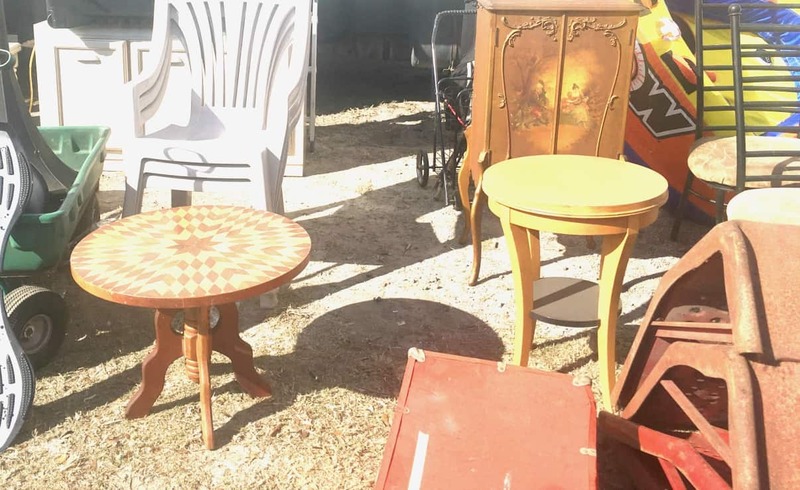 Have you started the Flea Market Flipping Challenge yet? If so, what have you bought, listed, or sold already? Would love to hear your finds! Comment below! I just read your challenge and felt inspired to write to you. I found a beautiful secretary hutch in a thrift store. I knew it was huge but I loved it and knew someone else would love it too. It was $200 on sale half price for $100. For an additional $25 they delivered and set up in my home. After placing ads on Craigslist, I found a buyer for $600! I was so excited I wanted to share that with everyone. Thanks for letting me share. awesome find and flip Daniel!! Love stories like this!! Hey Rob – How did you know what condition the boat and motor were in when you bought them? Did you know that the boat didn’t leak and that the motor ran? That motor alone is probably worth at least $225 even if it needs a little work. You are already killing this challenge! I’ve only done one flip so far – a Fender Stratocaster guitar I found at a thrift store for $70. Sold it for $250. Not quite the ROI you saw on those TowMate lights but it’s got me inspired to do more. Hey Brian! I actually didn’t know if the boat ran or didn’t leak. I took a chance on it because even not working it’s worth more than $227. The boat was new – but it did sit for a while. As long as I disclose everything, someone would still be interested to take it on as a project hopefully. 🙂 And that Stratocaster was a great flip! congrats!! Hey Rob, first your daughter is so precious… kudos to you for just letting her be a kid in the video and do her thing. So, I am up for the challenge. I am on your wait list for the University because I’d love to learn some insider secrets. I have tried my hand at buying and selling, but truth be told it hasn’t been such a good thing for me. I’ve gotten stuck with some stuff and then unloaded it as a yard sale. Most recently, I have had some success selling on eBay and Amazon, but it was mostly stuff I either had for a long time or got for free. I will keep you posted when I make my first find and flip it. Glad to here you are in for the challenge! Keep us posted on how it goes. Glad to here you have had more recent success. And Flipper University will be open in just a few weeks!